Experience the real summer feeling with Diamond Sea Hotels unique ‘Ocean Breeze’ signature cocktail. A refreshing combination of Coconut Water with Vodka and Cointreau served inside a young coconut will provide that true feeling of holiday. 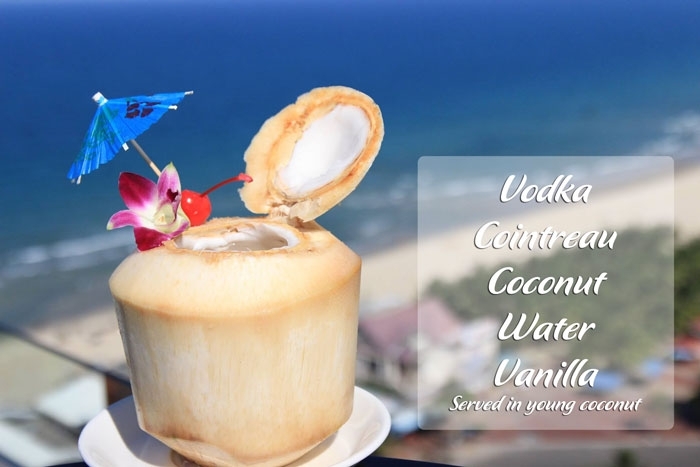 Enjoy the best panoramic views over Da Nang City and Diamond Sea’s signature cocktails will be a great experience for tourists to bring home after vacation. Happy hour from 17h00 to 19h00, buy 1 get 1 free drink including house wine, cocktail, mixed drinks, local beer.